Rajasthan is spectacularly set within surrounding rugged hills and dotted with majestic forts and intricately carved palaces. 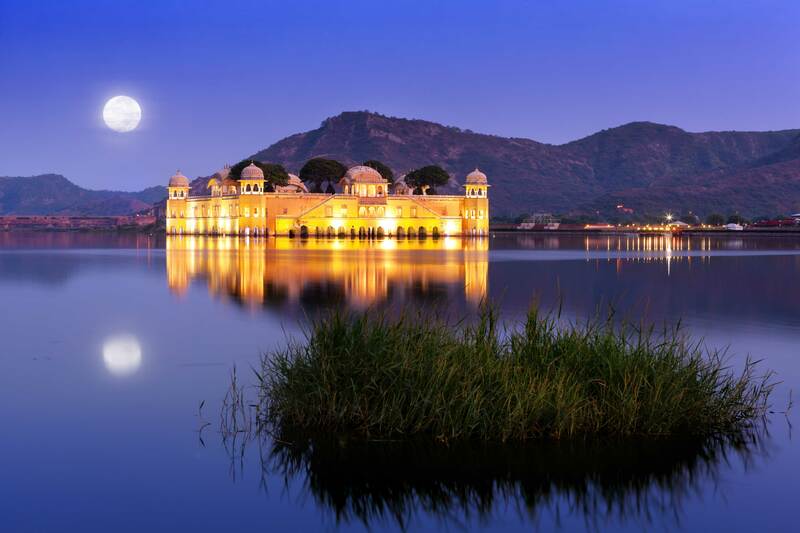 It is famous all over the world for its stunning forts and palaces, the perfect example of the architectural heritage that have been gloriously standing since decades in this princely state. A journey through these masterpieces makes travelers come back here again and again to enjoy the majestic blend of royal past and modern comforts. Built on high hilltops, amidst endless desert, the monuments vary from each other having their own individual charm and charisma. 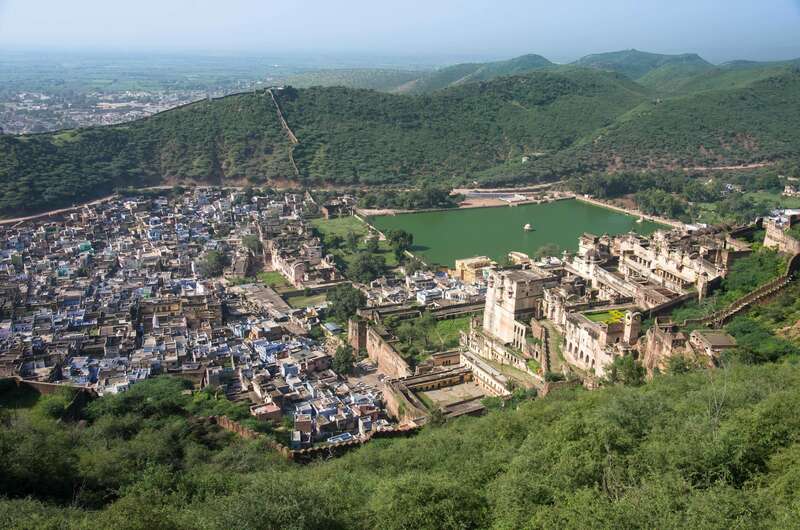 Rajasthan is a land of surprises and can mesmerize even the most seasoned traveler. – Visit in Jaisalmer – Jaisalmer Fort, Drive past to GadisarLake & Sam Sand Dunes. Visit 300-year-old Chandni Chowk Bazaar and Khari Baoli spice market. A maze of lanes crowded with shops selling an extraordinary variety of items and food, the noise and crowds are a quintessential part of any Indian market. In complete contrast to the noise and crowds of Old Delhi, is Raj Ghat, a simple and stunning memorial to Mahatma Gandhi, the main architect of India’s independence. You pass through the Red Fort that dominates this area landmark. Afternoon, take the tour of New Delhi – New Delhi was designed and built by the British in the 1920’s and is characterized by Sir Edwin Lutyens’ monumental architecture. Driving through the city, with its wide tree lined avenues, discover India Gate and the Diplomatic Enclave, the Central Secretariat and the President’s House. This morning, leave for airport to catch your flight to Jodhpur. On arrival in Jodhpur, drive to Jaisalmer where you will have the evening free to unwind in the hotel. 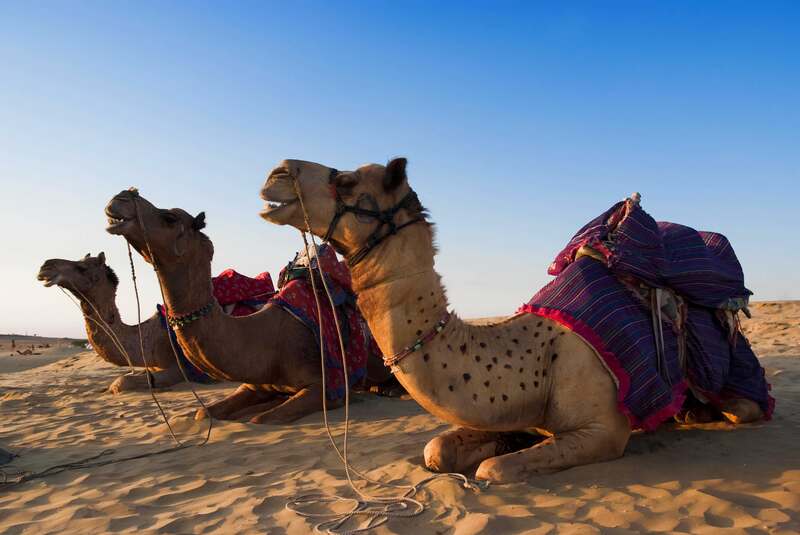 This morning, explore Jaisalmer, which lies in the heart of the Thar Desert and is rich with color and tradition. Founded in 1156 A.D, Jaisalmer was once a major center on the trading route between India and the west. 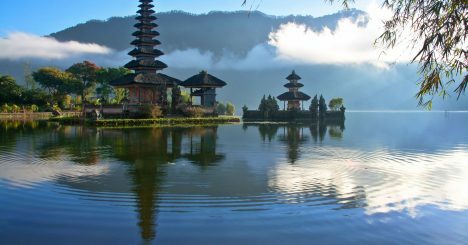 Today thousands of tourists come here to experience its magical charm. Post lunch in the city; visit Patwonki Haveli, which is the largest and most elaborate mansion of its kind in Jaisalmer. Also visit Nathmaljiki Haveli, a grand mansion that blends Rajput and Islamic architecture. In the evening, visit the Vyas Chhatri of Sage Vyas, the author of the Mahabharat. The Vyas Chhatri is also known as sunset point as it presents incredible views of Jaisalmer, particularly at dusk. Enjoy a magical meal on the sand dunes. This morning, leave for Manwar village, where you will spend a leisurely afternoon at the camp. In the evening, take a private jeep safari to explore a Bishnoi village. The Bishnois are an eco-friendly community of Rajasthan, who are famous for their rich cultural Rajasthani life and their true love for nature and animals. This morning, leave for Jodhpur. 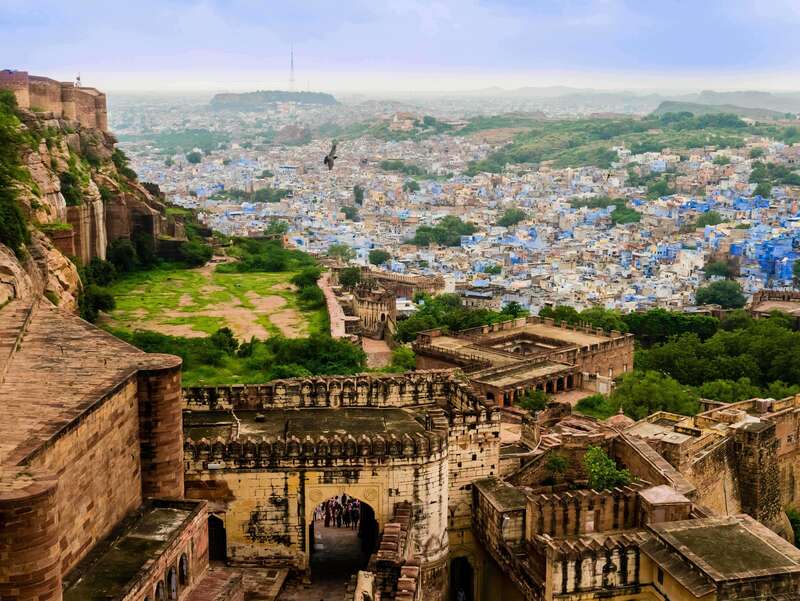 After you check in to your hotel, visit the Mehrangarh Fort. This spectacular fort made from red sandstone stands on a perpendicular cliff above the skyline of Jodhpur. The foundations of this fort were laid in 1459; today it houses a museum with a fine collection of arms, costumes, paintings and even a collection of palanquins. 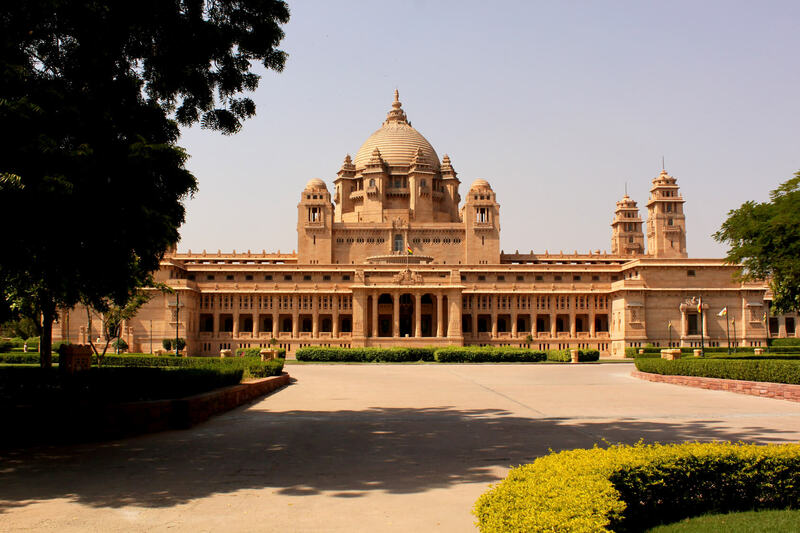 Also visit JaswantThada a marble cenotaph built to commemorate Maharaja Jaswant Singh II. The monument, in its entirety, is built out of intricately carved sheets of marble. These stones are extremely thin and polished so that they emit a warm glow when the sun’s rays dance across their surface. Post lunch in the city; walk through Sadar Bazaar, the bustling local market of Jodhpur. This morning, leave for Deogarh. En route you stop for lunch and a visit to the Ranakpur Jain Temple. On arrival in Deogarh, you will check into SeengSagar. This luxurious hotel sits in the middle of lake that depends on the monsoon for its water. 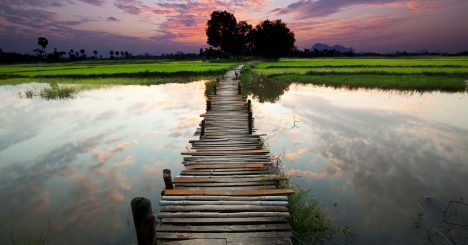 In the evening, head for a private jeep safari and enjoy bird watching at the nearby lake and visit the village. This morning after breakfast, leave for Jaipur. Enroute, visit Pushkar, which is one of the five sacred dhams (pilgrimage sites for Hindu devotes). It is often called ‘Tirth Raj’ – the king of pilgrimage sites. Pushkar is also known for its Lake and the only temple dedicated to Brahma in the world. On arrival in Jaipur, you will have the evening free to unwind. This morning, visit the famous Amber Fort, set in picturesque and rugged hills. It is a fascinating blend of Hindu and Mughal architecture. Prominent structures inside the fort are the Diwan-i-Aam, adorned with latticed galleries, the Ganesh Pol, with a beautiful painted image of Lord Ganesh, and the stunning Sheesh Mahal, a hall decorated with thousands of tiny mirrors. The best way to explore the fort is to ride up to it on elephant back! Next, make a photo stop the Hawa Mahal, also known as the”Palace of the Winds.” This beautiful façade is probably the most-photographed in Jaipur, with its ornately carved latticework windows designed so the ladies of the palace could look out onto the streets unobserved. Post lunch you will visit the City Palace. The architecture of the City Palace is a synthesis of Rajasthani and Mughal styles. The museums here showcase rare and ancient manuscripts, arms dating back to the 15th century, and costumes of erstwhile royalty. Visit the JantarMantar Observatory, comprising fourteen major geometric devices for measuring time, predicting eclipses, tracking stars in their orbits, and determining celestial altitudes. This morning, leave for Agra. The city of Agra is believed to have been founded in 1504 by Sultan Sikander Lodi. The glory of Agra was at its peak during the reign of Akbar, Jehangir and Shah Jahan. The city is home to the Taj Mahal and other fine examples of Mughal architecture. En route to Agra, visit FatehpurSikri, followed by lunch. Built by the emperor Akbar about 35 kms from Agra, FatehpurSikri had to be abandoned due to shortage of water. It is the best example of the amalgamation of Hindu and Muslim architecture. The Tomb of Sheikh Salim Chishti enshrines the burial place of the Sufi saint who lived a religious life here. On arrival in Agra you will visit ItimadUdDaulah. This is a mausoleum commissioned by the Mughal Empress Noor Jehan for her father. Often described as ‘jewel box’, sometimes called the ‘Baby Taj’, the tomb of Itimad-ud-Daulah is often regarded as an early draft of the Taj Mahal. This morning, visit the Taj Mahal at sunrise. The epitome of love a poem in marble… the Taj Mahal is one of the most graceful and extravagant monuments in the world. A symbol of the devotion of Emperor Shah Jehan for his beloved queen Mumtaz Mahal, the Taj is a befitting tribute to love. A pure white marble structure, the Taj acquires different shades at different times of the day and with changing seasons. Later, visit Agra Fort. This is a 16th century Mughal fortress built of red sandstone and comprises many fairy tale palaces. Post lunch in Agra, head to Delhi. On arrival, you will have the opportunity to wash and change before proceeding to the airport for your on-ward destination.